I greet each one of you in the name of our Savior Jesus Christ! 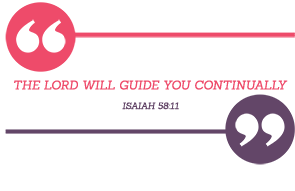 As we start a new month of August, God is ready to go before you, lead you, guide you and bless you abundantly. The promise in Joshua 3: 5 says, “Joshua told the people, “Consecrate yourselves, for tomorrow the Lord will do amazing things among you.” This is the promise that God had given to the people of Israel. As you read in 2 Corinthians 1:20 “For no matter how many promises God has made, they are “Yes” in Christ. And so through him we speak the “Amen” to the glory of God. So, you will see wonders according to this promise. Keep yourself holy and sanctify yourself; God will help you. The first step to see the Lord's wonders is to sanctify us. When we ask God, He will bless us with his holiness. We read in Malachi 2:11, “Judah has been unfaithful. A detestable thing has been committed in Israel and in Jerusalem: Judah has desecrated the sanctuary the Lord loves by marrying women who worship a foreign god.” Without holiness, we cannot see God (Hebrews 12:14).We cannot receive His blessings. With the power and authority Christ has given us through this new life, we no longer need to succumb to temptations such as the current epidemic of alcoholism, resulting in peace and unity between husbands and wives. Let us check our lives and look to the cross; only the cross can transform our lives. The Power of Redemption has now come to you, therefore leave the sinful ways, the evil deeds and surrender to Jesus. He’s waiting for you. He gave His life for you. God always looks out for you. Plead to Him today, 'Father, forgive me, take away my sins,' God will break all your chains of addictions. Secondly, if you ask in prayer, God will bless you abundantly. Eph 3:20 says the Lord will bless you richly. This whole month you will be blessed every day. Isaiah 58:11 says “The LORD will guide you continually.” Phil 4:7 states “And the peace of God, which transcends all understanding, will guard your hearts and your minds in Christ Jesus.” When you cling on to Him, this whole month you will have peace; a peace that passes all understanding: the peace of God. God transformed Saul and called him Paul - a servant of God. Just as Paul cried out, you need to look to the cross and confess all your sins. The Lord will give you a new life and will change your habits. Paul writes, 'not me but Christ who lives in you (Galatians 2:20).' Your life will be transformed. I believe that God is touching your heart and is drawing you close to Him so that you become His child. Once this transformation takes place, whatever blessing you ask, it will be given to you. Thirdly, this month you will see wonders in the blessings that you desire. 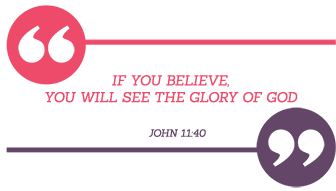 In John 11:40 we see Jesus asking a pivotal question, “Did I not tell you that if you believe, you will see the glory of God?” If you believe, you shall see wonders. God speaks to you today, believe in Him and you will see His Glory coming upon you. You might say that you don’t have a child; don’t have a job; don’t have many things; nobody is there to love me, but everything that you need will be provided beautifully by the hand of God when you ask of Him and say, “Father, you are my only hope, you are my trust." Humble yourself before Him. The more you humble yourself, the more you will be exalted. When you believe, the Holy Spirit will work wonders, and you will be blessed. Our God is a supernatural God, and you will be blessed with supernatural blessings. You will have a new life in Christ, a peaceful life with the guidance of the Holy Spirit. Spiritually, you will grow in the Lord and will receive the greatest blessing in your life. Believe and say, “Father I believe. Let it happen to me. Take away all my unbelief, my sinful life and give me a supernatural life. You have to be with me. Every day, I want to receive your abundant blessing." Our precious Father, as we have started the new month of August, we know that unless you bless us, you lead us and guide us, we can’t receive your blessings. Heavenly Father, remember your children. Remember those who are on their knees and praying for freedom from their addictions. Cleanse their lives. Lord, give them your perfection, your blessing, and your peace. Please make them a new person. Listen to their cries as they open their hearts before you, Lord. Make them holy so that that they see Your wonders. Amen! As you believe it, you have received it. God has transformed you just as Saul became Paul and a servant of God. God has made you shine for His glory. You will be blessed abundantly with peace. The whole month you will receive blessings. Lead a holy life, and God will bless you. I will intercede for you. Have a blessed month!